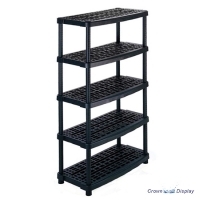 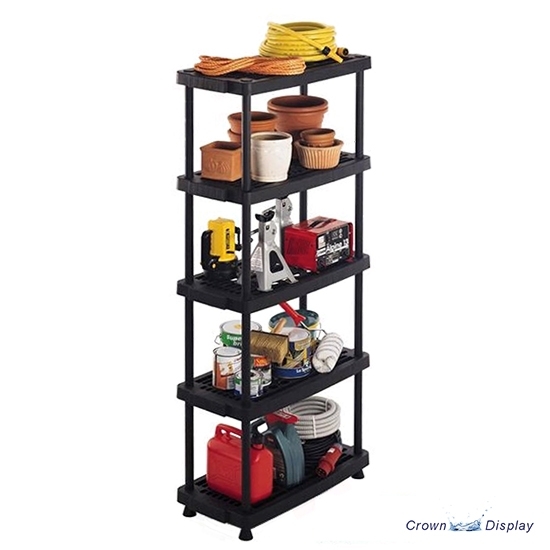 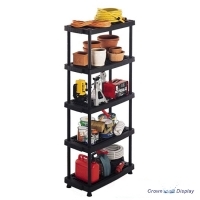 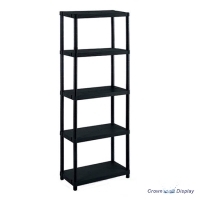 A black plastic shelving unit with ventilated shelves perfect for use in garden centres, greenhouses, sheds and garages. 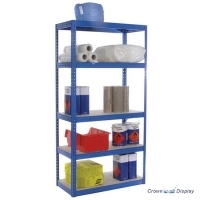 Each shelf has a maximum weight limit of 40kg, perfect for storing small, heavy products and is also easy to clean. 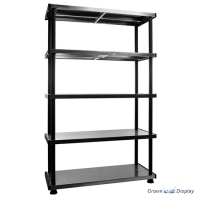 This unit measures 1760mm high x 790mm wide x 390mm deep and is assembled in only 10 minutes!